Is the potential of your beautifully engineered products limited by a chaotic sales and marketing process? 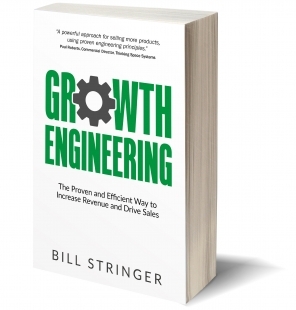 Here Bill explains the argument for, focusing on sales and marketing in the same way you do within the engineering part of your business. I am continually surprised by the number of businesses I work with that have a streamlined, debottlenecked manufacturing process right up to the point the product moves in to sales and marketing where process is either completely absent or is adhoc at best. 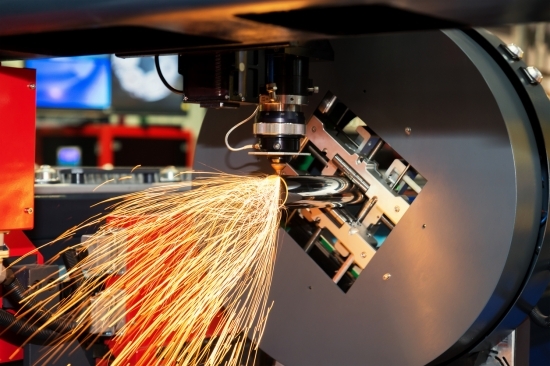 UK manufacturing continues to be under pressure from new entrants from developing regions. To tackle this, businesses continue to invest in new production facilities and develop new products at huge cost. However, they often fail to invest in good sales and marketing resources and processes which can deliver significant returns on modest investments. Growth Engineering, a new concept from the team at Green Shoots Growth applies an engineering approach to sales and marketing. The core of the concept is to firstly deeply understand the situation today through analysis of the business and market. Using this data, the businesses can then identify the bottle necks that are restricting growth and then develop and prioritize growth options. From this a detailed 12-month plan can be developed and implemented. Improving the efficiency of your production line will be second nature to you, measure what is going on at every point, identify bottlenecks, fix them – simple. Growth Engineering takes this principle and applies it to sales and marketing. You will most likely know the headline sales this month, maybe the margin (equivalent of knowing how many widgets are made and how much material you have used to make them). However, do you know how many customer visits are needed to achieve one order or the conversion rate of quotations to order. Do you know these data points for the different markets you are in? Do you know what your sales team are doing day to day, what types of conversations are they having? Understanding these metrics will enable you to identify the bottlenecks and develop fixes in sales and marketing. Start measuring and start to develop a measurement system that makes it easy to continuously monitor the data. One of the aspects of efficiency in production lines is consistency – doing the right things well all the time. Often in sales and marketing different approaches are taken depending on the individual, day of the week, how the business is performing etc. This is partly due to a lack of understanding of what the right things are to do because their effectiveness is not measured. A great start to building this understanding is to hold a workshop with everyone in the team who touches the sales and marketing process, get some big sheets of paper and map out the process. Then take this and test it out on future opportunities. Make it as detailed as you can, identify who does what and when. Tweak it based on feedback – sounds familiar doesn’t it…. It is useful to look at your sales and marketing team as your production line – it will have strengths and weaknesses like your production line. It is critical you know how they work and you give them maintenance (training, recognition etc) and lubrication (appropriate incentives). Also, if you are bringing new people (new parts) in make sure the process you use to do this is well mapped out and thought through. Equally some of the team may need moving on (worn out parts) as they are not adding value to your business. It is important that these are dealt with swiftly as poor performance will affect the whole line (team). Your sales and marketing team also need effective management – sending them out each month to return with a bag full of orders does not work – provide direction and monitor their activity, this will help them sell more and thereby generate additional revenue for the business. Without a market, you don’t have a business. Small businesses tend to know their specific niche very well however they find it challenging to go beyond this. This is due to either too many ideas to focus on or a lack of understanding about new potential markets and the risks involved. Engaging market research agencies can be beyond the means of many SMEs however much of the knowledge you need can be found within your own business. You just need to create an environment where the knowledge can be drawn out. We find that well-structured and facilitated workshops with a focus on developing a pipeline of growth options can be very effective at prioritising new markets and identity the key data points needed to make investment decisions. Right now, following the craziness of last year, export should certainly be high up on the list for any UK manufacturer. If you are frustrated by the effectiveness of your sales and marketing activity try to assess the situation as an engineer. Build a deeper understanding of what you have, identify the bottlenecks and put in a plan to remove them and critically execute the plan with discipline. Click the book cover below to find out more. Bill Stringer graduated in chemical engineering over twenty years ago. Early on in his career as a process engineer, working in a small air pollution control business, he was inspired by the then MD to develop a career in sales. With zero experience and training, he read widely about great sales practice, attended courses and took the leap into the world of sales. Since then he has worked as a sales rep on the road, sales manager and business manager in small engineering and manufacturing companies. During the 2000s he worked as a consultant in a large corporate strategic marketing company, advising multibillion dollar global manufacturing companies on growth strategy and enabling decision making based on market insight. This gave him access to best practice approaches. 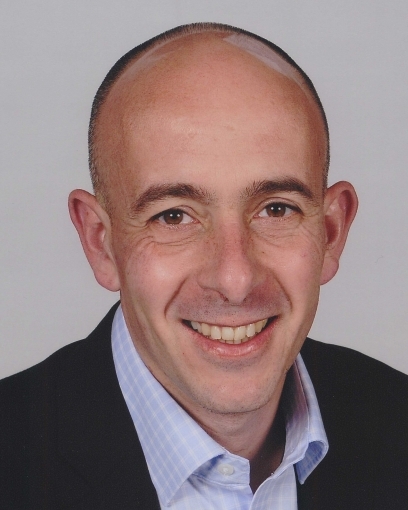 Since 2012, he has taken his personal experience of working in small manufacturing and engineering companies and combined this with the knowledge of best practice by some of the largest corporates in this sector to develop specific and tailored programmes, driving growth in SME businesses. He delivers these programmes through his business development consultancy Green Shoots Growth Ltd.